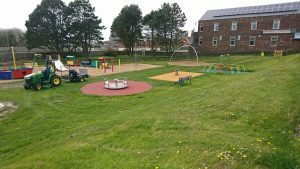 Work to the Eden Street Play Area it is now complete and the park is ready for youngsters to enjoy. Let’s hope we get some sunshine now! Cllr. 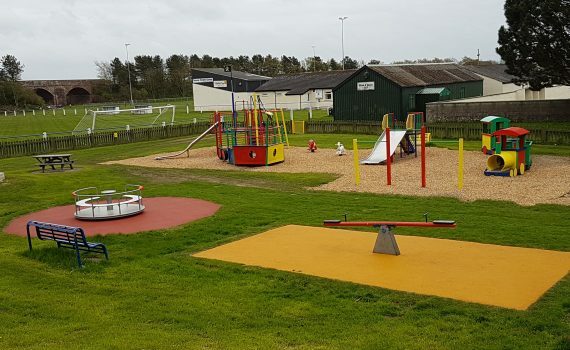 Tony Markley, Mayor of Silloth said “We are grateful to Allerdale Borough Council for providing us with some funding which the Town Council chose to spend on the Eden Street play area, for the benefit of our local residents. 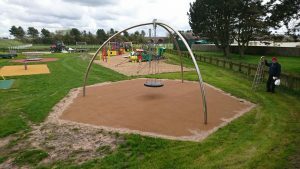 The park has always been very popular and the new equipment and safety surfacing means it can be enjoyed for many years to come. 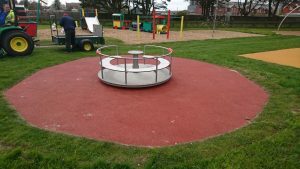 A memory swing seat has been installed which is designed to allow eye-to-eye contact between a toddler and their parent/carer. 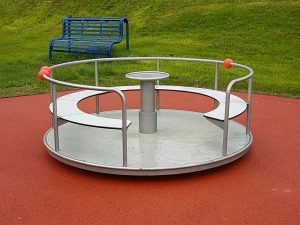 The Jupiter roundabout has seating and in addition, youngsters are able to control their speed by varying the strength of the disc’s rotation. 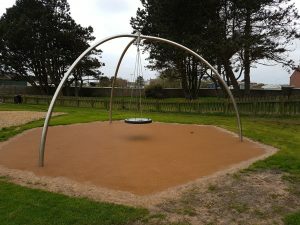 One of the existing sets of swings has been replaced with an exciting new Mega Swing which allows kids to swing together, to get as high as they can. 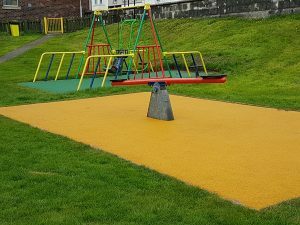 New safety surfacing and bins have been installed and gives the park a bright new look. £15,000 from Allerdale Borough Council and also £3,000 from the Town Council’s budget was used to fund the project. 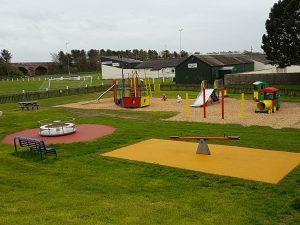 In addition to the Eden Street play area, Silloth also has the woodland play area in the pines, the Water Splash park and the BMX track on Silloth Green. There are also plans for a small children’s play area over by the Splash park, aimed at younger kids of 0 – 5 yrs. Designs are being obtained and funding sought.